Here, we are going to learn how to check whether a give binary tree is a binary search tree (BST) or not? This article describes how to check whether a given tree is BST or not? This problem came in coding round of Microsoft. 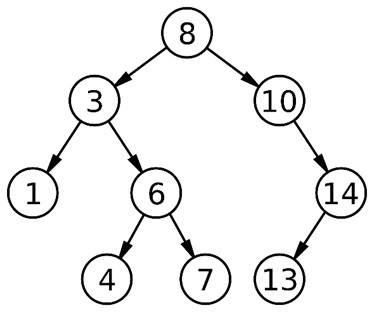 Given a binary tree check whether it is a binary search tree or not. From the definition of BST, it may seem that for a binary tree to be BST, it’s enough to check for each node if the node on its left is smaller & node on its right is greater. But this is actually the wrong approach since it will give wrong output for many test-cases. The correct algorithm is to check for each node whether the maximum of the left subtree is lesser than the node & the minimum of the right subtree is greater than the node. This algorithm works perfect but not efficient in terms of time complexity. Intuition says that the in-order traversal for the BST results in a sorted list of nodes and we use this in our algorithm. 1. Set prev to INT_MIN. //sorted list after in-order traversal. 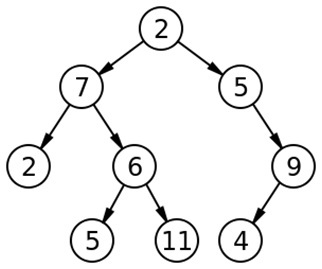 Clearly Example 1 is a binary search tree. We will check out further through our function. Clearly Example 2 is not a binary tree. We will check out through our function.